I am struggling with much of the same issue in your excerpt posted from Thaisia in regards to discouragement with those in church leadership and a lack of love by those in the church. My thoughts often drift to the same place as her’s… If no sincere love is seen and experienced, then there must not be any salvation. Perhaps in the future you might speak to this point, as I know many of the younger generation feel similarly. Well Dear Anonymous, I think this is a pretty common experience. Anyone who has spent more than a little time in the Orthodox Church (or, for this matter, in any group calling itself church) quickly notices that the saints are in the minority, a very small minority, and that those who seem to be desiring to live a Christ-like life—while they may be found here and there—seem to keep themselves well hidden. In fact, sometimes it seems as though the nonreligious people in our life are more compassionate, more like Christ, than many of the religious people we know. This is a common experience. To understand what’s going on, I think we have to keep several things in mind. First, we have to keep in mind that this is very much how Jesus experienced the religious world into which he was born and raised. The religious leaders of Jesus’ day were largely corrupted, selfish and lacking in basic compassion. Jesus constantly refers to them as vipers and hypocrites. But not all of religious leaders of His day were that way. There is the Lawyer to whom Jesus says, “You are not far from the Kingdom of Heaven” (Mark 12:34). Jesus also meets secretly with Nicodemos, “a ruler of the Jews” and explains His mission to him (“Light has come into the world, but men prefer darkness rather than Light… John 3). This same Nicodemos tries to defend Jesus before the other Pharisees (John 7:50) and in the end joins Joseph of Arimathea (a rich and “prominent council member,” Mark 15: 43 and John 19: 38-42) in enabling and burying Jesus’ Body. It says of Joseph that he is a secret follower of Christ “for fear of the Jews,” yet he nonetheless boldly asks Pontius Pilate for Jesus’s body. Furthermore, that same religious world that, on the one hand, seems so corrupted, was the same religious world that produced Jesus’ Mother, Mary, the holiest of women, and her parents Sts. Joacim and Anna. That apparently broken religious world also produced John the Baptist, his holy parents, Sts. Zachariah and Elizabeth. It was the religious world that also produced the twelve Apostles (one of whom was a traitor) and the seventy lesser Apostles. Clearly, despite the abundance of (both truly and apparently) unloving, corrupt leaders in Jesus’ day, God was still able to produce from that religious world a lot of very holy people. 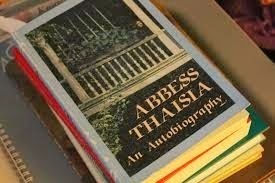 And this is, by the way, exactly what Abbess Thaisia found out. In fact, it may indeed be that part of our growth in Christ must take place in such a context of seeming abandonment: abandonment by every human authority who should love and help and encourage us, abandonment that forces us to find strength in God alone, abandonment that teaches to love and forgive even those who seem to have no love and no forgiveness. Some other things to keep in mind when we are confused and despondent about the lack of love in the Church are the parables Jesus told about what the Kingdom of Heaven would actually be like. For example, Jesus said that the Kingdom of Heaven is like a farmer who sows good seed in his field, but at night an enemy comes and sows tares (weeds that look somewhat like wheat, but have no edible grain. Matt. 13:24 ff). This is what Jesus said the Church would look like: the real and the false growing side by side. And of course we are all so like the servants in the parable. We want to rush out and separate. We want to determine who the real Christians are and who the impostors are. We want to make the determination. But the master in the parable says no. Ours is not to determine, to separate. Ours is to just let it be. God, we are told, will send His reapers, the angels, who will gather the wheat into barns and the tares into destruction. Whenever we try to separate, whenever we try ourselves to determine who the false Christians are, we end up making a huge mess of it and uprooting and trampling on the very precious wheat. Ours is not to determine the genuineness of the faith of others, ours is to discern the genuineness of our own faith. Am I being saved? Am I loving even those who are hard to love? Am I forgiving others as I want God to forgive me? A final thing I encourage people to keep in mind when they are confused and discouraged by the apparent lack of love and lack of Christ-like virtue they seem to see in those who lead the Church is that what we see with our eyes is generally only a very small part of what is actually happening. This is particularly true when it comes to leaders in any institutional setting (and the Church is an institution—a God bearing institution, but an institution nonetheless). Those who lead both see much more than we see and at the same time see much less. What I mean is that even when we assume the best intentions, leaders are forced to look at the bigger picture and make decisions based on what seems to them to be best for the whole. And at the same time, because they are looking at the big picture, often leaders do not see or appreciate the pain of specific people and specific situations. The leaders themselves often do not realize the pain they are causing in specific situations in their desire to do what is best for the corporate good. It’s a matter of basic human weakness. None of us sees everything. None of us knows everything. Even assuming the best intentions, none of us sees or knows clearly enough to encourage any good without at the same time unintentionally causing pain or misunderstanding somewhere. That’s just the nature things in our fallen world. I was at a seminar for priests recently. And as is usual, in the evenings we would gather in small groups in one another’s rooms, drink a little (or a little too much) wine and talk about what’s troubling us in our churches. One young and zealous priest was complaining about the apathy and lack of piety among his parishioners when an older priest told him the following story. There was an older woman in his parish who never seemed to keep the Church’s fasts. She would bring food with “only a little bit of beacon” in it to coffee hour during lent. Her breath often smelled of coffee when she was receiving communion on Sunday mornings. This bothered the father greatly until one day he determined that it was his duty to teach this woman the importance of fasting. Then one Sunday, he seized the opportunity and drew the woman aside and said to her, Nellie (I think that was her name), we need to talk about the importance of fasting. Nellie’s response shocked him. The Father could say nothing. He, in his ignorance, had judged a pious woman harshly. You see, we never know enough about a person or about a situation to judge fairly. Often what seems to us to be unloving, harsh or unChrist-like behaviour may indeed be the most loving, kind, and Christ-like behaviour possible, if we knew the whole story. Of course life is never just all one thing or all another. We are seldom completely Christ-like in anything we do. When I have a headache, my wife often asked me if I am mad at her. Trying my best to be loving, in my weakness my best attempts at kindness sometimes sound to her like anger. And then there is just plain carelessness. How many times have I been offended, not by what someone has said to me, but by the way he or she has said it to me or by the timing or by the context? Sure, they could have said it in a better way, or at a better time or in a better place, but then again, who is perfect except God? But this then brings us back to Abbess Thaisia and how God uses broken people in this broken system in this broken world to save our souls. Jesus came to show us the way to heaven, the way of salvation. And the way that Jesus showed us was the way of Resurrection through the Cross. We must all die with Christ so that we can be raised with Him. And what does this death look like? Abbess Thaisia tells us that the death is a death of our will, a death of our expectation of how things should be, a death of our plan, our agenda, our way. It is often a death like the death of Jesus, a death that comes through the failures and weaknesses of religious leaders, that comes to us through the intentional and unintentional blows of those who should have loved and protected us. It’s a miserable death, a painful death; it is a real death. It is a real death followed by a even more real resurrection. This is the Christian way, the way of the ascetics, the way of the saints, the way of everyone who would take up their cross and follow Christ.